Jon Boogz and Lil Buck shed light on police brutality and social justice in their latest production. When Jon Boogz was street dancing on Venice Beach, he never dreamed that one day he would choreograph for dance legend Mikhail Baryshnikov. Nor could Charles “Lil Buck” Riley have predicted that a performance with cellist Yo-Yo Ma would go viral and expose the world to what happens when street dance meets classical music. This melding of unexpected art forms has taken these two young dancers on an unexpected journey from performing on the streets of Southern California to the world stage. 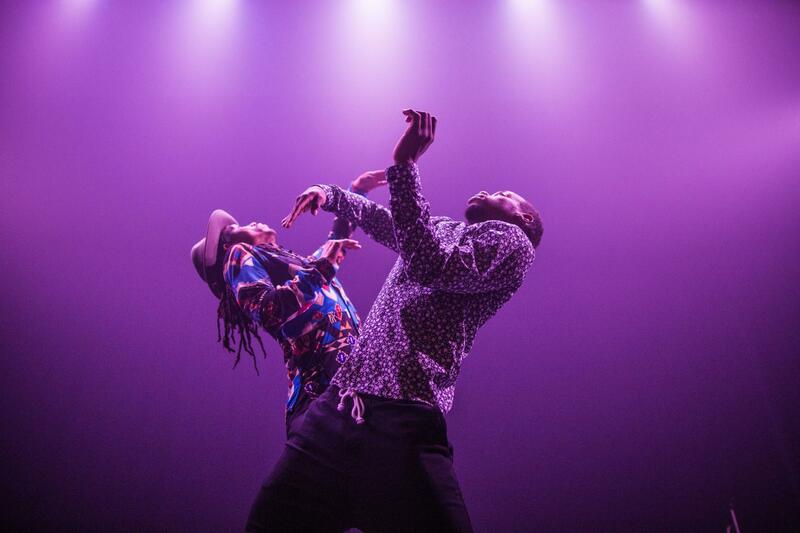 One of their highly-regarded collaborations “Color of Reality” uses fine art and dance to tackle the issue of unarmed African-Americans dying at the hands of police. Through their organization Movement Art Is (MAI), the two address issues that divide and destroy with the goal of healing age-old wounds through movement. Their latest production “Love Heals All Wounds” infuses popping and jookin with spoken word, original music, and imagery to shed light on police brutality and mass incarceration. Jon Boogz and Lil Buck join host Frank Stasio to talk about their early days as struggling dancers and how they have elevated an artform given to them by the streets. NC State LIVE presents “Love Heals All Wounds” Raleigh on Saturday, Feb. 2 at 8 p.m. on the campus of North Carolina State University in the Talley Student Union. When Alfredo Hurtado signed up to become a member of an Army military police unit, he figured he would be eating donuts and sitting in cars all day. Then the Sept. 11 attacks happened. Hurtado found himself guarding the twisted, dark corridors of the Pentagon, then detaining prisoners in Afghanistan. On his next deployment, to Iraq, his convoy hit an improvised explosive device that left Hurtado injured and in pain. Michelle Dorrance is revolutionizing tap dance, and the world is watching. Dorrance stomps and slides across the floor with movements that are experimental, loose, romantic and everything in between. She breaks the rules of what many expect tap dance to look like, and reinforces that tap dancing is first and foremost about making music. When Asha Bala was born, her mother looked at her and declared that she would be a dancer. Her country, India, was a newborn as well, recently independent from British rule. So many parents were keen to revitalize ancient cultural and spiritual practices like Bharata Natyam dance, once practiced in the temples and based on epic tales and mythology.